Yuzu Kaiten Sushi is a small Japanese restaurant located right next to Fresh Provisions in Mt Lawley. It's difficult to find because it's hidden behind the stairs. It wasn't a big restaurant but it has sushi train! 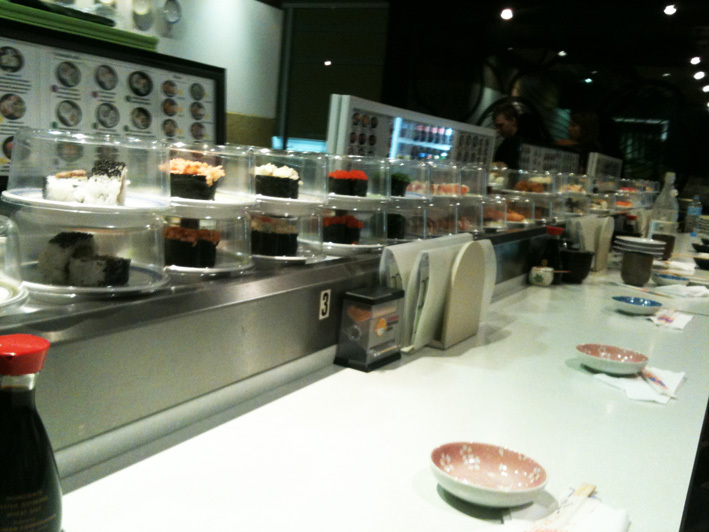 It's hard to find Japanese restaurant with sushi trains in Perth. 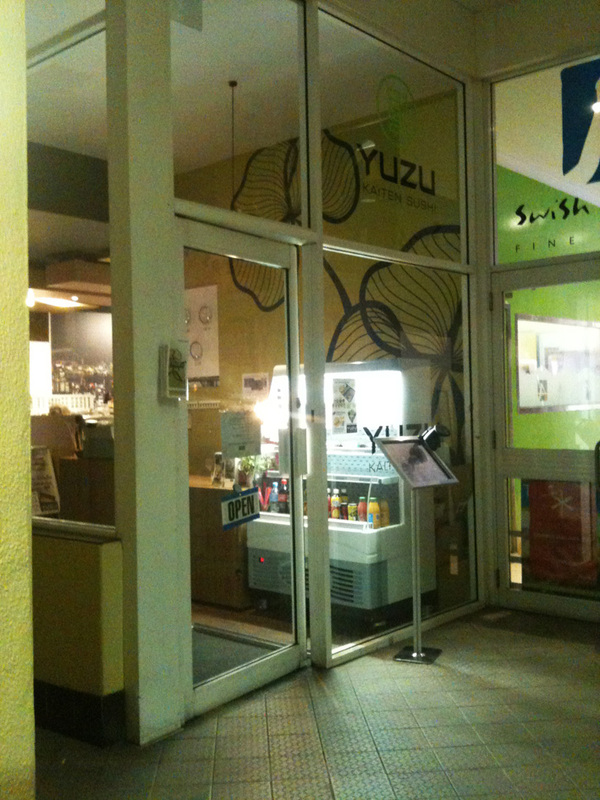 So I was quite excited to see one in Yuzu. 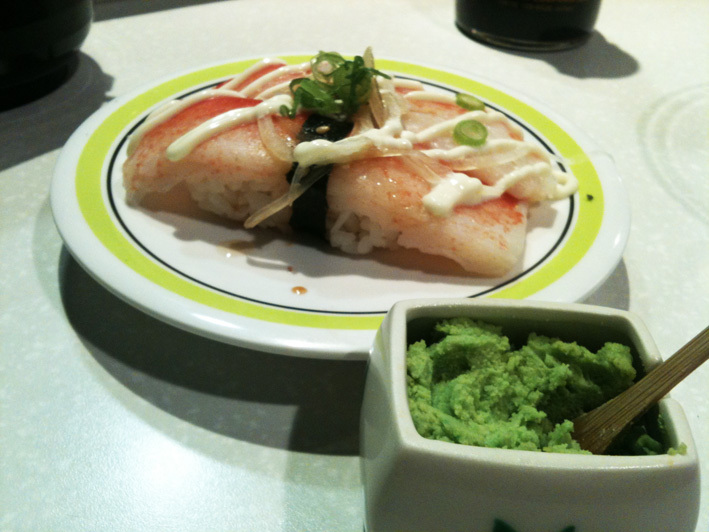 I've tried some Sushi in Yuzu. 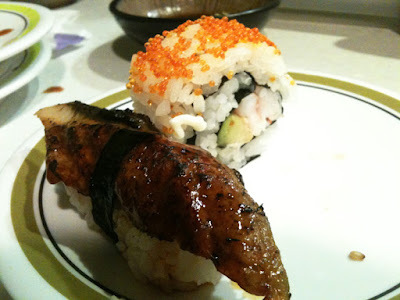 The sushi was fresh and tasty! I had some Sashimi because I was craving for some tuna that night for some reason. 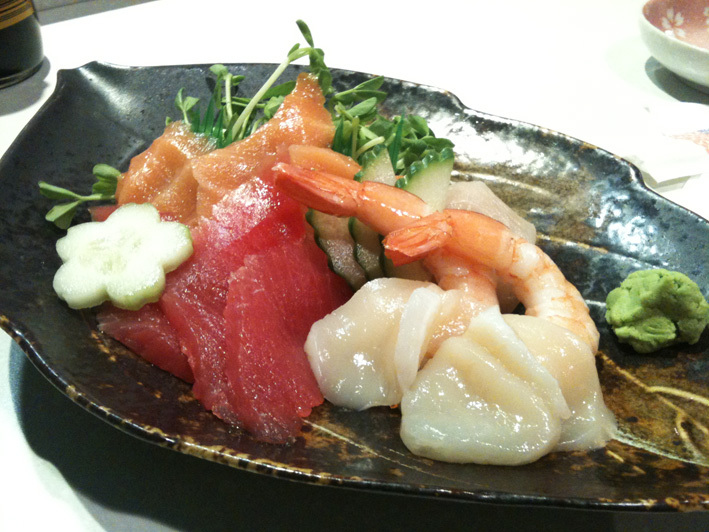 I didn't quite like the way they slice the sashimi so thinly. I like it thick because I like to fill my mouth full of food, then I can taste the fattiness of the tuna. Unfortunately it was quite thin, I don't feel satisfy having it. As for the Sushi, it was great! Nice sushi rice, and fresh ingredients. 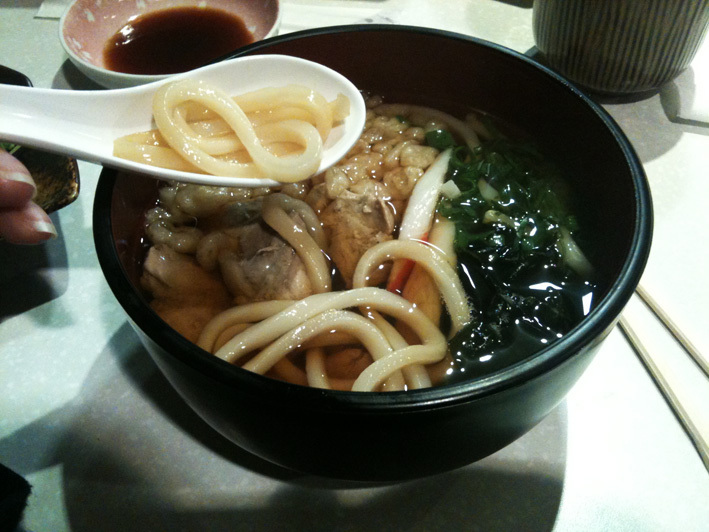 I had the Chicken Udon too! Nice soup base, not oily and tasty. Udon was nice. The one thing that I don't like is the chicken chunks were a bit too tough and dry.